Coalition for Free and Fair Election (BERSIH) has called for mass rally on 19 November 2016. Five demands of the the rally are: Clean Elections, Clean Government, The Strengthening of Parliamentary Democracy, Right to Dissent and Empowering Sabah and Sarawak. Police crackdown at the eve BERSIH rally today already rounded up at least 6 persons and the number is expecting to increase. We call upon friends to send protest message to the Government of Malaysia to stop the crackdown and release all the detainees immediately. 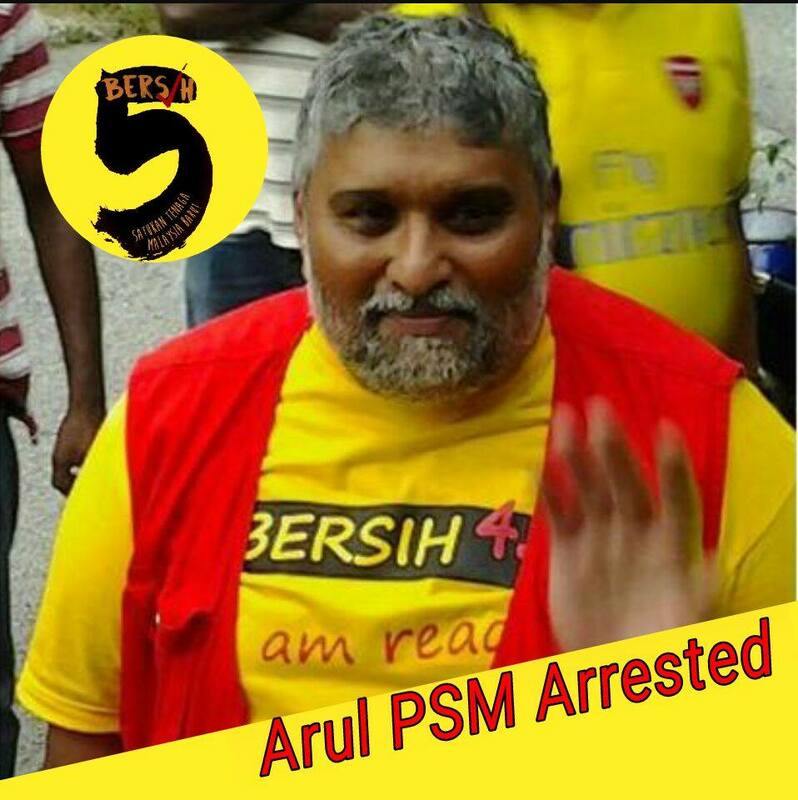 1) Immediate release of all the detainees arrested during crackdown on BERSIH rally. 2) Stop crackdown on the BERSIH rally. Allow the people to assemble peacefully. 3) Respect the demands of Malaysian people for clean and fair elections.